Construction of the first church in Munjor began in the fall of 1877 and was completed in February, 1878. It was originally a wood frame building 41' by 20' and in1883, they added another 16 feet. During the 1880s, immigration from Russia continued and the congregation grew. In 1889, church members decided it was time to build a new church to be constructed of native limestone, which was abundant in the area. 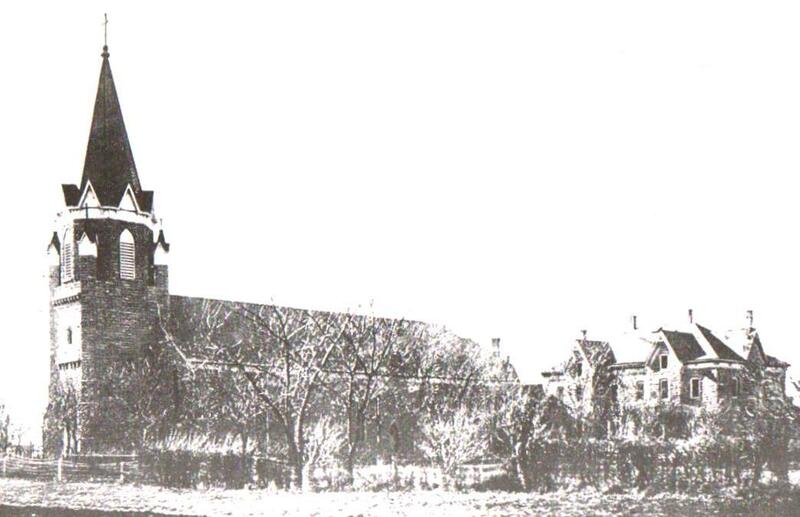 The cornerstone of the current church was laid on Passion Sunday in 1889 and by December the roof was completed. The church was dedicated by Fr. Francis Wolf, O.M Cap, on Trinity Sunday 1890 in honor of Saint Francis of Assisi. The church is 105’ long, 49’ wide and 50’ high. The 60’ high tower was designed for a steeple, but due to a lack of funds, the steeple was not completed until 1906. This church and its members were faced with a great tragedy on February 5, 1932, when the church burned. The parishioners saved many of the interior furnishings, but the fire destroyed the altars, organ, bells and stained glass. It was restored with the same appearance it had prior to the fire with the exception of the steeple, which was never replaced. On June 3-5, 1946, the windows were replaced and are among some of the finest stained glass windows in Kansas! This parish is active with Masses during the week and on weekends. Masses are Tuesday, Thursday, and Sunday at 8 a.m. For a tour, call 785.628.1970.